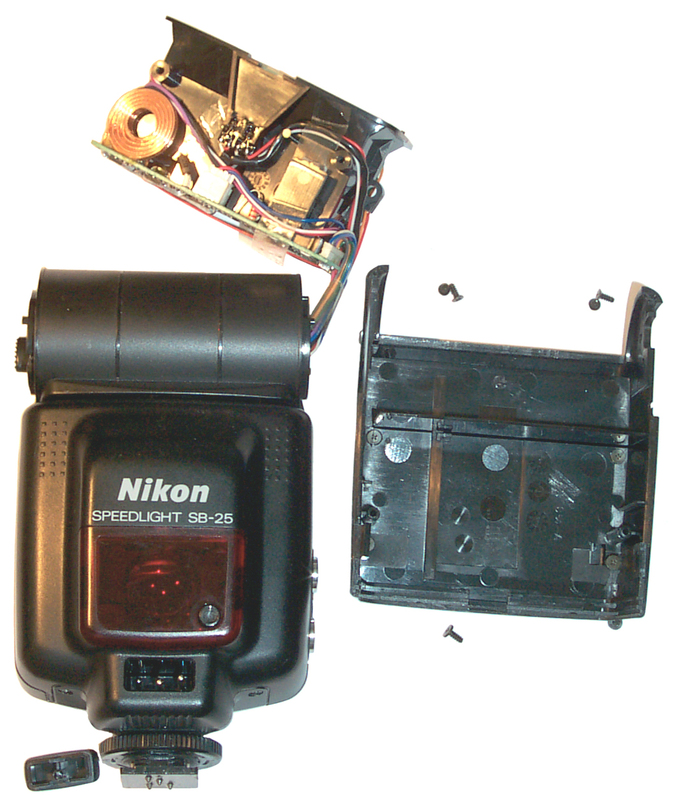 I've had this strobe flash that goes with a Nikon N90 film camera for many years and recently started using it with a Kodak DC290 digital camera. It's used for two lighting effects. In both cases the SB-25 is mounted on a Manfrotto C1575B Avenger Super Clamp on top of which is the Manfrotto 2907 Reversible Stud plugged into the 5/8" (16 mm) spigot on the clamp to provide a male 1/4-20 thread (the European thread is pointing down). Then a Smith Victor Shoe Mount (shiny aluminum in photo at top of page) which holds the SB-35. 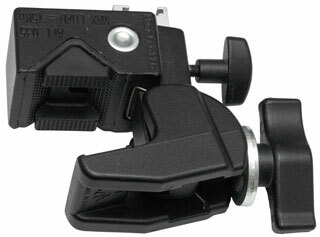 Manfrotto C1575B Avenger Super Clamp (Item 035) without wedge for clampling to cylindrical objects. Manfrotto C1575B Avenger Super Clamp (Item 035) with wedge installed for clamping to parallel surfaces. A Dot Line DL-0430 Male-Male PC cord connects the camera and strobe. When working with the homemade light box the SB-25 is a few feet away and aimed directly at the light box. Manual mode with Zoom at 85 mm (narrowest beam max light). The reason to use a light box is to control reflections. This is important when photographing subjects that have mirror like surfaces. Without the light box you see the room reflected in the subject instead of a clean white subject. When you want even light and the subject is not mirror like then bounce flash off the ceiling works very well. No harsh shadows. Flash not firing when camera operated. I think this is caused by the symetry of the PC cord connections. If the solid center pin is centered it's possible for it to also not touch the center sleeve. By using a small Philips screwdriver the center pin can be bent slightly so it's off center and will then make contact with the sleeve in the female connector. Images made on HP 6200 Flat Bed Scanner and is 4 X life size. Sometimes it seems the four AA batteries go dead very quickley or the LCD does not come on with the switch to ON or STANDBY. Opened it up to see if there was anything standing out as a problem. 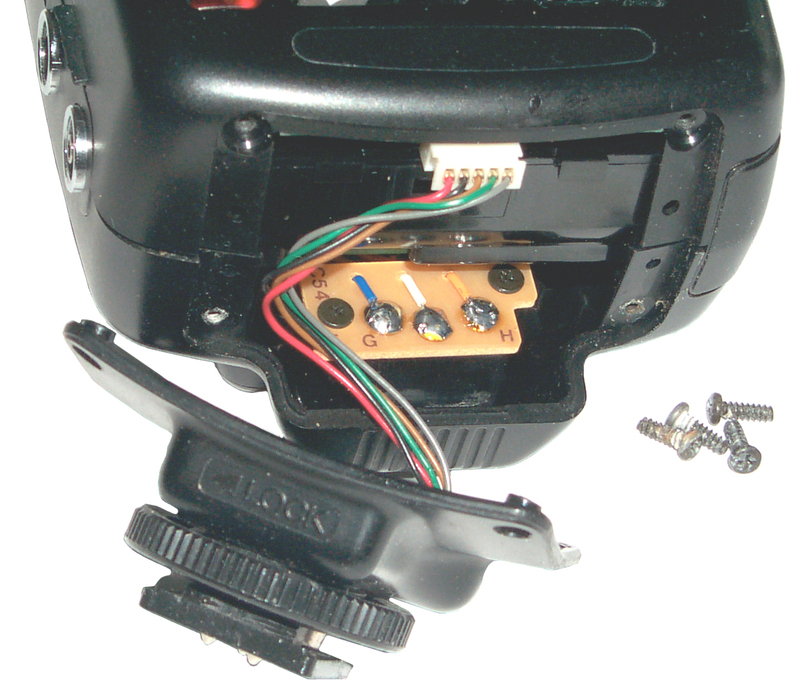 The bottom shoe mount removed then unplugged. 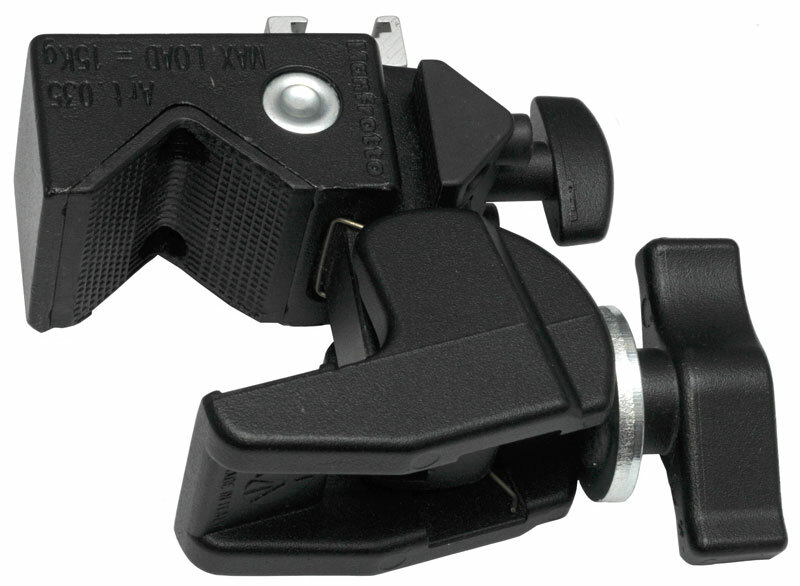 The shoe mount holds the front and rear body covers toghther. The tan color printed circuit board is the external power input connector with three pins. G = Ground and the the right pin when looking into the cavity from the front. H = High Voltage ( aobut 330 VDC) for the main capacitor. 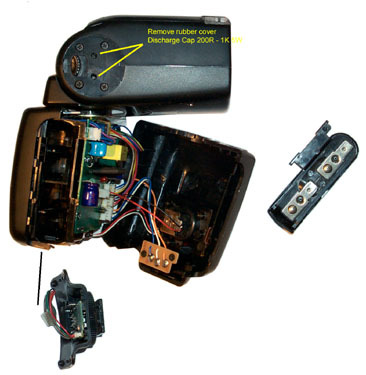 The center pin may be a 6 VDC input to replace the AA cells, allowing the AA cells to be removed. Removing Front Body Cover top screws by rotating the head. Front Cover removed but still wired to main body. The two round rubber head covers are held on by sticky tape. The two holes shown (when the head is in the forward position as shown) are used to discharge the main condenser using a 5 Watt resistor between 200 and 1,000 Ohms. The Cap is rated 1400 uF and 350 Volts. Could be fatal if discharged into a person. 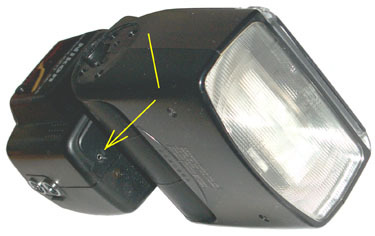 The battery contact nearest the head (top) is Minus. The bottom battery contact is Positive. For testing connect 5.8 Volt source good for 4 amps. Remove the lower head cover by removing two screws under cover and two more on each side (6 total). 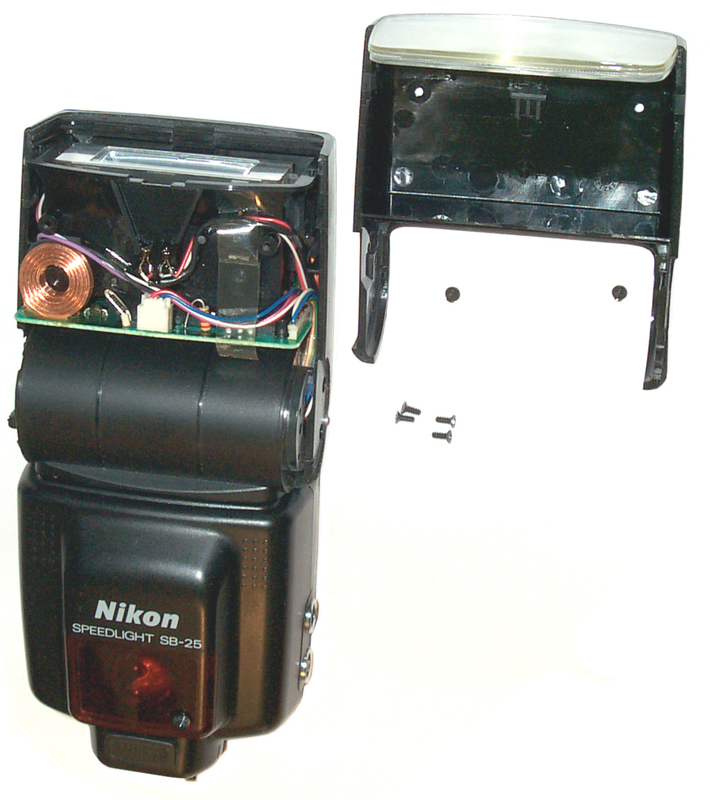 The rectangluar rubber plug with Nikon on the front is the external power source cap. Remove top head cover using two internal screws and two more in each circle (6 total). The cap has been removed from the front Power connector. It has two pins that are larger than the other pin. Use with SD-8 Battery Pack or SD-7 DC power unit. 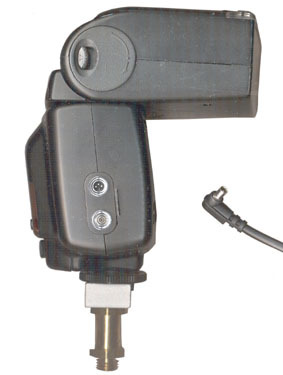 A AA battery pack can be plugged into this connector in order to get much faster recovery time. Here you can see the small H.V. pin on the left, maybe 6 VC center pin and the right hand ground pin on the external power jack. Where to get a mating plug? let me know. Did not see any blown caps or other problems. Did cycle some internal connectors. After reassembly it seems to be working fine. Maybe just oxidized connections. This is a Nikon accessory item that holds 6 AA cells and generates about 325 VDC to supply the main flash capacitor with HV directly. It plugs into the three pins seen in the photo above after the "Nikon" labeled rubber plug is remived (but not lost?). I think the center pin is some sort of digital signal between the flash and the SD-8A. 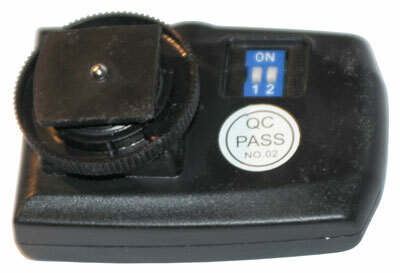 There also is an SD-8 model (no A on the end). Not sure of the differences. The "Y" cord on the SD-8A has both the extenal power 3 terminal plug for the front connector and also a PC flash sync plug. It's not clear why the PC connector is there. 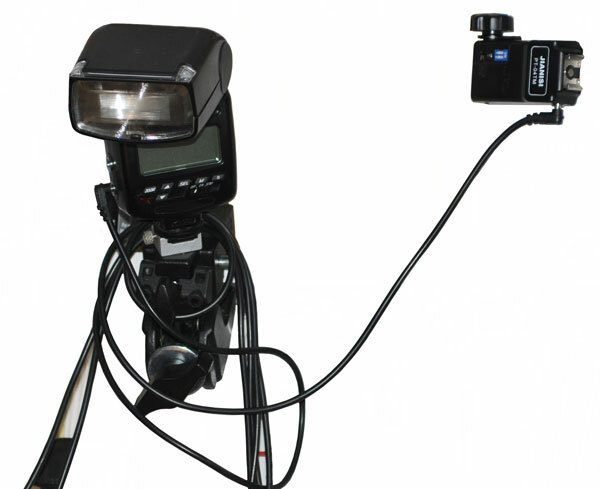 Got this in eBay to work with the Nikon D300s cameraa nd SB-25 flash. 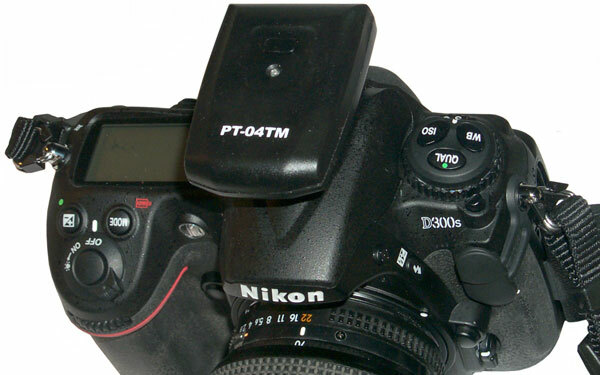 It's called the 4 channel Flash Wireless Trigger PT-04 TM set. The DIP switches were not set to the same code as received and it didn't work. Switching them to be the same fixes that. and a LED that blinks when the button is pressed. Not sure how to access the internal battery? Receiver set to code 00. 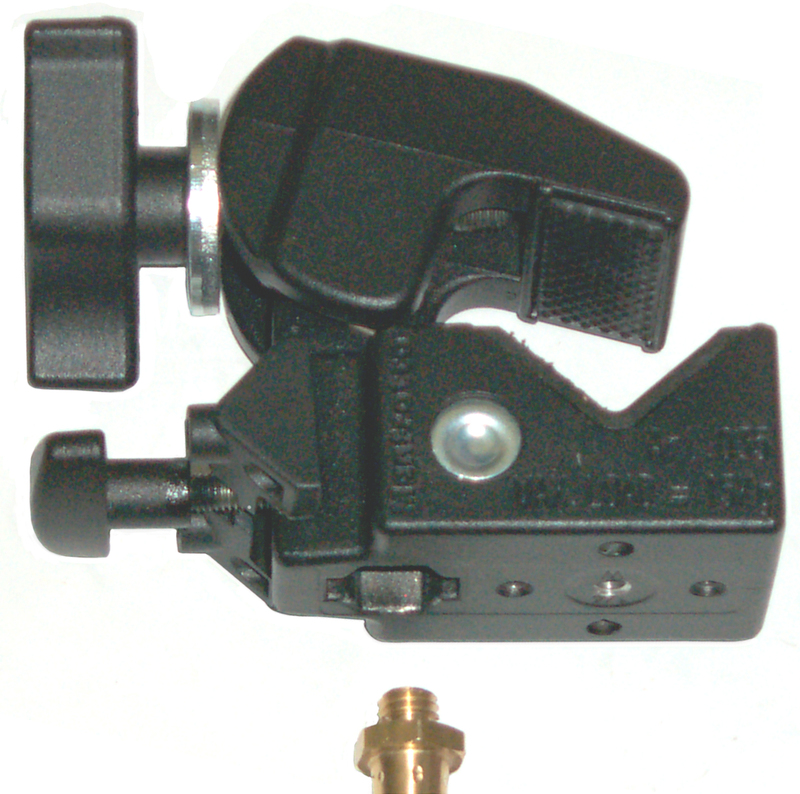 Flash and receiver on face of a bookshelf. Reciever runs on two AAA batteries and has an on-off switch. Transmitter set to code 00.
page created 3 May 2008.